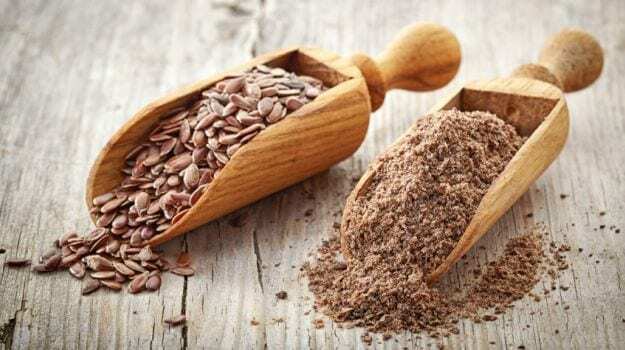 If you speak to anyone trying to lose weight or looking to bulk up on essential vitamins and minerals, they'll tell you that flaxseeds are the ultimate powerhouse of nutrition. They're tiny nutty-flavoured seeds that not only taste good but have innumerable health benefits. They're extremely versatile and can be sneaked into almost everything you eat. Linseeds or flaxseeds usually come in two different colours, brown and yellow, but the nutritional profile of both is absolutely identical. 1. Omega 3 Fatty Acids - Omega-3 are polyunsaturated fatty acids, considered as essential nutrients that our body can't produce but needs to maintain good brain health and cognitive function. 2. Rich in Lignans - Lignans are naturally occurring forms of the female hormone estrogen and are found in certain foods. 3. Good source of Mucilage - Mucilage helps assures a healthy intestine and proper absorption of nutrients. 1. Flaxseeds are good for the heart - Flaxseeds are rich in alpha linolenic acid which prevents inflammation and protects blood vessels from damage. 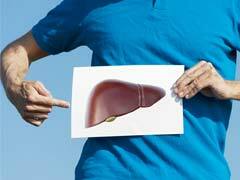 Researchers showed that regular intake of these seeds lowers LDL (low density lipoprotein or bad cholesterol) and increase levels of HDL (high density lipoprotein or good cholesterol). 2. Flaxseeds are rich in antioxidants - Flaxseeds are significantly higher in antioxidants compared to fruits or vegetables. Adding flaxseeds to your diet boosts your overall and also helps in delaying ageing. 3. Flaxseeds prevent cancer - Studies show that eating flaxseeds reduces the risk of breast cancer, prostate and colon cancer. 4. 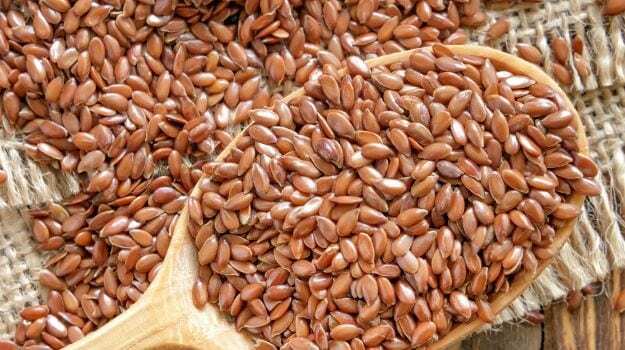 Help with digestion and weight loss - Flaxseeds are high on fiber which is why they help in relieving constipation. 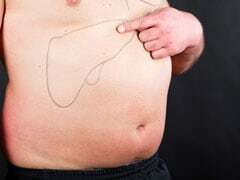 They also leave you feeling full which stops you from overeating. 5. Flaxseeds are extremely good for glowing skin and healthy hair because of the high amount of omega 3 fatty acid present in them. Listen up ladies! Flaxseeds with their wonder properties are a brilliant solution for all kinds of hormonal problems. 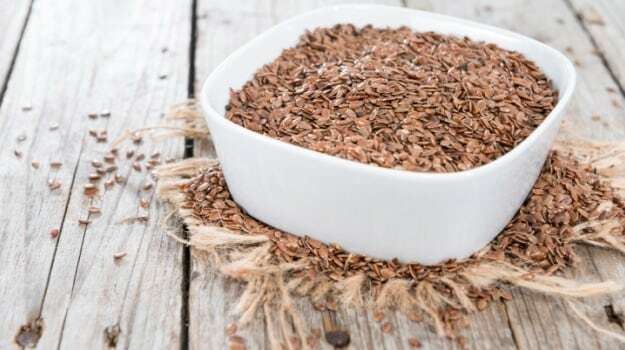 Due to their high content of lignans, flaxseeds help reduce high levels of estrogen and also boost low estrogen levels. They can help reduce menopausal symptoms, such as flushing and night sweats. Flaxseeds can also help women with irregular periods and those with extreme symptoms of PMS - for example, headache, anxiety, mood swings etc. They also help in controlling heavy bleeding during menstruation, reduce the risk of breast cancer and improve uterine function. a. Add grounded flaxseeds (1tsp) while kneading dough for chapattis, bread or biscuits. b. Add half a teaspoon of flaxseeds in porridge, oats or muesli. c. Sprinkle flaxseeds on salads, cooked vegetables or cooked dals. d. Mix flaxseed in smoothies or curd. 1. Add strawberries, bananas, flax seeds and honey in soya milk, blend in a juicer till the mixture is smooth and frothy. 2. Pour equal quantities of the smoothie into 2 individual glasses. 3. Serve and garnished with a strawberry and banana slice. 1. Combine the bottle guard with one cup of water. Cover and cook on a medium flame for 4 to 2. Combine all the ingredients, including the cooked bottle gourd in a deep bowl and mix well. 3. Refrigerate for at least 1 hour and serve chilled.